Comets are formed of rocky material, dust, and water ice. A few have highly elliptical orbits that bring them very close to the sun and swing them deep into space, often beyond the orbit of Pluto. 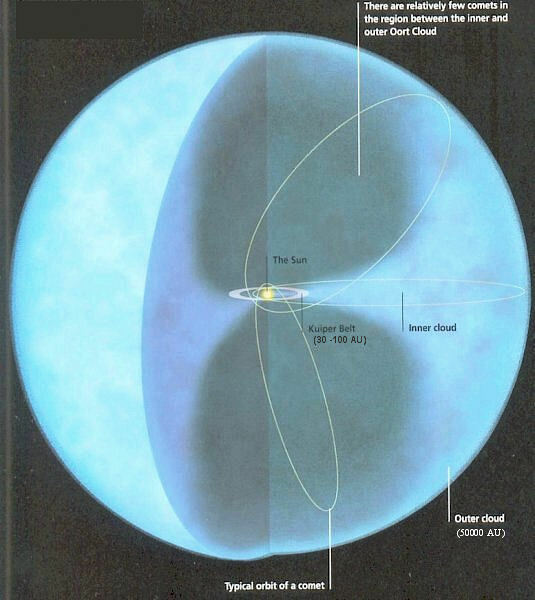 The most widely accepted theory of the origin of comets is that there is a huge cloud of comets called the Oort Cloud (see Figure 07-21a), of perhaps 1000 comets orbiting the sun at a distance of about 50,000 AU (in the Solar System halo). These comets are near the boundary between the gravitational forces of the sun and the gravitational forces of other stars with which the sun comes into interstellar proximity every several thousand years. According to the theory, these stellar passing perturb the orbits of the comets within the Oort cloud. As a result, some may be captured by the passing star, some may be lost to interstellar space, and some of their orbits are modified from a relatively circular orbit to an extremely elliptical one coming close to the sun. These are the long period comets with period more than 200 years. Another reservoir of comets is the Kuiper belt (see Figure 07-21a), a disk-shaped region about 30 to 100 AU from the sun beyond Neptune. This is considered to be the source of the short-period comets. The orbit of a Kuiper belt object is sometimes perturbed by gravitational interactions with the Jovian planets causing it to cross Neptune's orbit, where eventually it may have a close encounter with Neptune, either ejecting the comet or throwing it deeper into the solar system. These are the short period comets with period less than 200 years. Comets are invisible until they come near the sun and develop an extended structure. These structures are diverse and very dynamic, but they all include a surrounding cloud of diffuse material, called a coma, that usually grows in size and brightness as the comet approaches the sun. The dense, inner coma often appears pointlike, but the actual nucleus is rarely seen from Earth because it is too small and dim. The coma and the nucleus together constitute the head of the comet. When far from the sun, the nucleus is very cold and its material is frozen solid. In this state the comets are sometimes referred to as "dirty icebergs" or "dirty snowballs," since over half of their material is ice. As the comets approach the sun they develop enormous tails of luminous material that extend for millions of kilometers from the head, away from the sun. Approaching within a few AU of the sun, the surface of the nucleus begins to warm, and the volatiles evaporate. 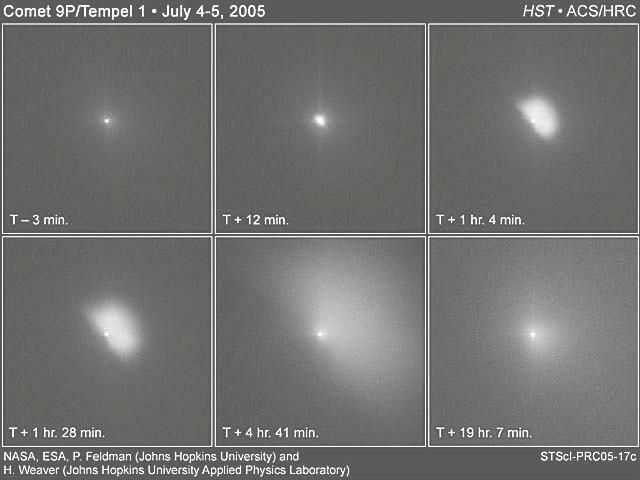 The evaporated molecules boil off and carry small solid particles with them, forming the comet's coma of gas and dust. When a coma develops, dust reflects sunlight, while gas in the coma absorbs ultraviolet radiation and begins to fluoresce. At about 5 AU from the sun, fluore-scence usually becomes more intense than the reflected light. As the comet absorbs ultraviolet light, chemical processes release hydrogen, which escapes the comet's gravity and forms a hydrogen envelope. This envelope cannot be seen from Earth because its light is absorbed by the atmosphere, but it has been detected by spacecraft. The sun's radiation pressure and solar wind accelerate materials away from the comet's head at differing velocities according to the size and mass of the materials. Thus, relatively massive dust tails are accelerated slowly and tend to be curved. The ion tail is much less massive, and is accelerated so greatly that it appears as a nearly straight line extending away from the comet opposite the sun. 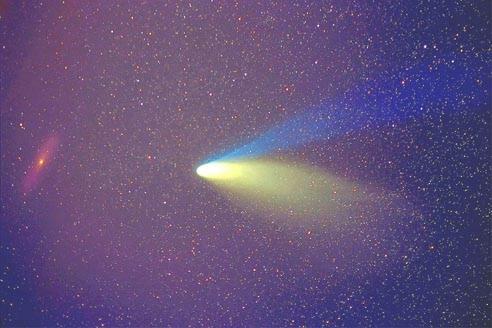 Comet Hale-Bopp's 1997 encounter with the inner Solar System is shown in Figure 07-21b with its yellow dust (curved) and blue ion (straight) tails. The structure of a comet approaching the Sun is shown in Figure 07-21c. Each time a comet visits the sun, it loses some of its volatiles. Eventually, it becomes just another rocky mass in the solar system. For this reason, comets are said to be short-lived, on a cosmological time scale. Many believe that some asteroids are extinct comet nuclei, comets that have lost all of their volatiles. approach to the Sun. Figure 07-22b shows the nucleus of Comet Wild 2 taken by Stardust when passing within 500 kilometers. Clearly visible are numerous craters and hilly terrain. Stardust has also captured particles from the coma and will jettison them to Earth in 2006. Analyses of the images and returned particles will likely give fresh information about our Solar System back near its beginning, when Comet Wild 2 formed. Discovered in 1978, Comet Wild 2 takes 6.39 years to orbit the Sun, traveling nearly as close to the Sun as Mars is and as far away from the Sun as Jupiter. The space capsule that contains dust particles from the comet has returned to Earth on January 15, 2006. 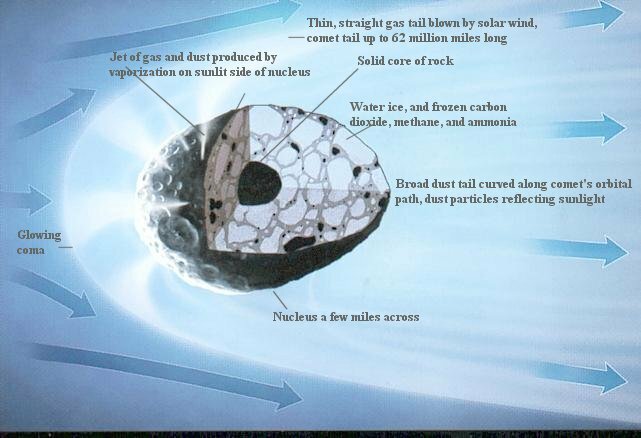 Detailed analyses of the comet dust in the aerogel collector (Figure 07-22a insert) reveal that there is a vast array of different of particles - some from the heart of the Solar System, some from a dying star in pre-solar times. It seems to indicate that this comet was formed very early before the formation of the Solar System with an eccentric trajectory, which allowed the comet to collect different kinds of material along the way from the edge to the inner part of the Solar System. On July 4, 2005 NASA smashes a 372 kg spacecraft into the comet Tempel1 in the believe that the debris from under the comet's surface would reveal the composition of the solar system 4.5 billion years ago at the time of its formation. 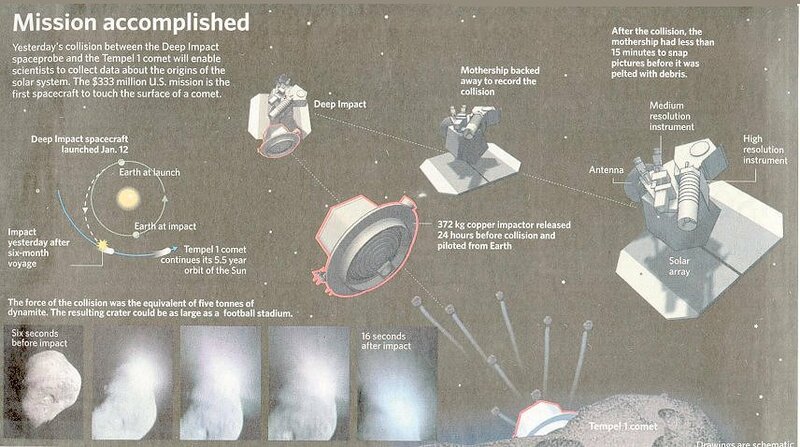 Figure 07-22c shows the hardwares for the mission and the sequence of events near the time of impact. Click here to see a movie showing the approach of the impactor (toward Tempel 1). water to form. The existence of a substantial amount of organic material means that the comets might have brought such material to Earth early in the planet's history at a time when asteroid and meteor strikes were common. Another spacecraft called Stardust-NEXT paid a second visit to Tempel 1 on February 2011. Figure 07-22d shows an image of the closest approach and the impact area six years later. There is a small mound at the center of the impact crater, which appears to be rather subdued - indicating a fragile cometary nucleus. 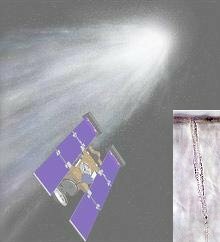 The space craft also went through a shower of disintegrating cometary particles coming out in chunks. 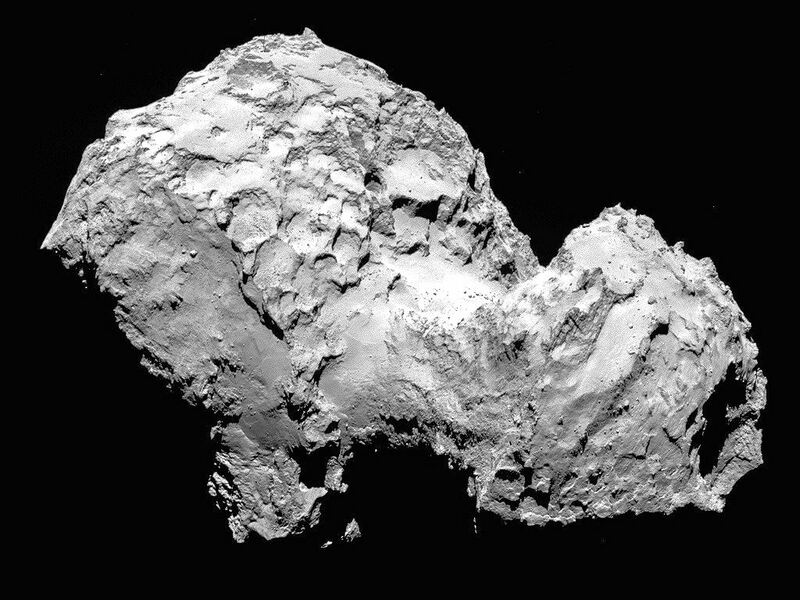 By August 2014, the European Space Agency's comet-chasing Rosetta spacecraft (launched in 2004) has reach a distance of about 100 km to the comet 67P (Figure 07-21e). Rosetta had moved into the same orbit around the Sun as the comet. Scientists will have the opportunity to observe its activities as it goes around the Sun. 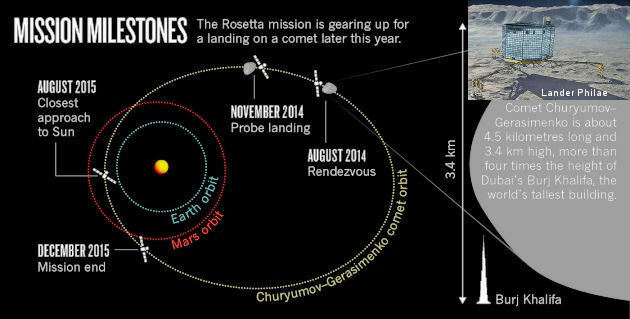 A probe will be released to land on the comet in November, 2014. See scheduled events in Figure 07-21f. The landing site has the consistency of solid ice. The cometary atmosphere contains carbon and hydrogen. 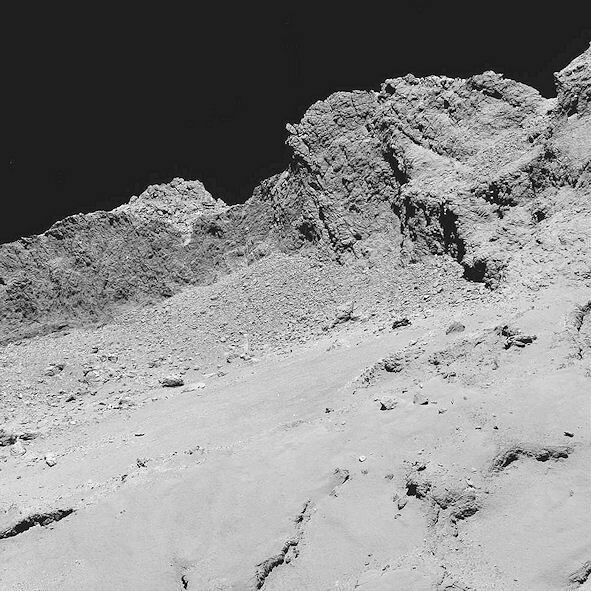 Sixteen organic compounds were detected, four of which were seen for the first time on a comet, including acetamide, acetone, methyl isocyanate and propionaldehyde. The temperature was at -35 oC (the temperature would rise to near zero as it approaches the perihelion). comet's gas, dust and plasma environment very close to its surface. 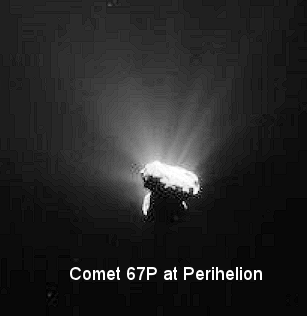 Figure 07-21i is a picture taken about 16 kilometres from the comet's surface.